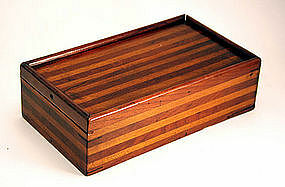 Antique American traveling box constructed with strips of alternating light and dark woods; with sliding lid opening to a fitted interior. Ca. 1840.